2012, at Citizens Bank Park in Philadelphia. 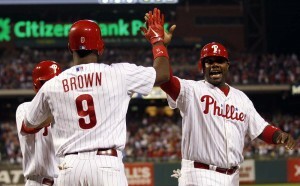 Ryan Howard could not proceed any further. His ailing leg — which has a weak arch of the foot, a recovering Achilles tendon and a torn meniscus — eventually became too problematic. On July 8 it was deemed necessary that he get the torn meniscus surgically repaired, a procedure that is estimated to require six to eight weeks of recovery time. That timeframe puts his return for a significant portion of time this season in serious question. Eight weeks from now would take the slugger’s stint on the disabled list into September, limiting his availability for the most crucial portion of the Philadelphia Phillies season. General Manager Ruben Amaro Jr. announced there was “fraying” in Howard’s meniscus, according to an MRI taken in May. Just this past weekend, the team discovered it was torn. It raised the question: Why did the Phillies not take care of the injury when the problem was first discovered? For Philadelphia, this is a question that has been raised far too often. Howard is just another example added to the long list of baffling injury risks and decisions made by the Phillies regarding their high-priced talent. It is actually the second time that Howard has fallen victim to a baffling approach to an injury taken by Philadelphia. The first case dates back two seasons, when the first baseman initially injured his left foot and leg in 2010 and still experienced discomfort in it throughout 2011. So when the Phillies wrapped up the 2011 National League East crown a couple weeks early, the medical staff evidently thought it was a good idea to inject Howard’s Achilles tendon with cortisone despite many alarming accounts from other doctors. There were also possible dangerous side effects, one of which is the risk of skin and soft tissue thinning around the injection site, which could lead to tendon weakening or rupture. Howard sat out the following week or so of games, during which Philadelphia experienced what it was like without him in their lineup with an eight-game losing streak. He played in a few games late in the season but had to exit the final regular-season game after having pain in the foot. He played in all five playoff games but got progressively worse and clearly was not himself at the plate. 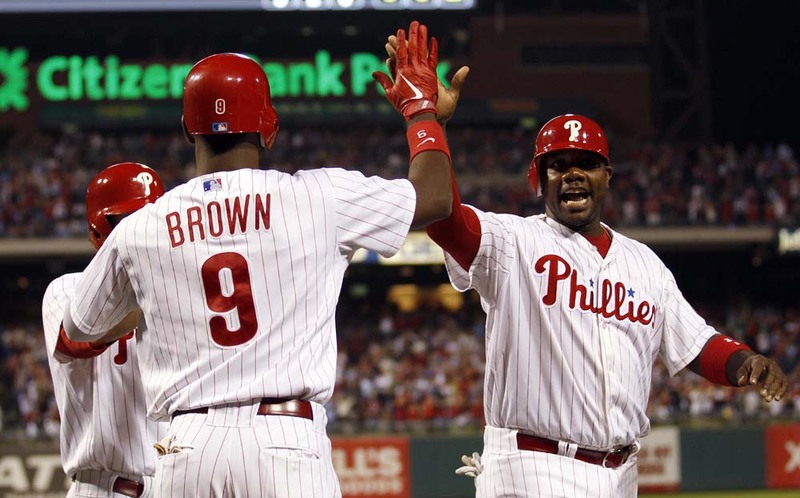 Then, it happened: The side effects proved to be more than just “side effects,” and Howard ruptured his Achilles tendon in his final at-bat of the 2011 postseason. The slugger has since acknowledged the possible link between the injection and the rupture. It is not as if this was a new development in Achilles treatment, as former Major League stars Tony Gwynn and Barry Larkin each suffered partial Achilles tears after receiving cortisone injections in that site. Another confusing aspect is how Howard, Amaro and manager Charlie Manuel seemed to have different views on Howard’s timetable and whether or not he suffered a setback in his rehabilitation. Manuel claimed that Howard should be back in May 2012, and Amaro said that there was no timetable. Because there “was no timetable,” the fact that Howard suffered an infection did not represent a setback by Amaro’s standard. It was probably not a good idea to take a medical risk with the franchise’s highest-paid and most productive player, especially given that Dr. Michael Ciccotti, who is the director of sports medicine at Jefferson University’s Rothman Institute, is also the director of medical services for the Phillies. The Rothman Institute points out that studies show an increase of Achilles tendon ruptures after they are injected with cortisone, so you have to figure that Ciccotti knew he was playing with fire. But that’s what Ciccotti and the Phillies do with injuries: They play with fire until it burns them. Perhaps the next damaging example was ignoring and repressing Chase Utley’s knee condition. It was initially a surprise when the second baseman showed up in 2011 with knee pain, so that can be excused. But when he arrived at Spring Training with the same exact injury the next season, especially after the team traded its backup second baseman, Wilson Valdez, it left many people scratching their heads. Why was the degenerate knee condition ignored? Why did they not follow up with Utley and ensure that he was ready to go? Next on the list of $15 million-plus annual earners with injuries was starting pitcher Roy Halladay. There were reports coming out of Spring Training in 2012 suggesting that something may have been wrong with Halladay. Nationally renowned baseball reporter Ken Rosenthal noted that two scouts noticed Halladay using a different arm angle and that his velocity was down significantly. Right off the bat, it should have at least raised flags. For the remainder of the season, Halladay’s velocity never returned to its normal level. He and the Phillies finally did admit to an injury in May 2012 when they placed him on the disabled list with what was identified as a shoulder injury. But then Halladay, pitching coach Rich Dubee and the rest of the team did not seem to be on the same page as to how long he had been injured. There are too many issues and conflicting things being said, and it suggests that the medical staff was not on top of this one. But the bigger question is, if Halladay was apparently injured in March, why did they let him pitch for the next two months and risk further injury? But in 2013, the same exact issue and same approach to that medical issue was repeated. Halladay had a brutal spring and clearly was not clicking, as he was shelled in his first two starts of the season. He struggled much of the first month of the regular season before finally informing the team that he was feeling discomfort in his shoulder. The team had it checked it out, and there was a tear in his rotator cuff; they had been sending him out there injured, probably for the past season and a half. When he was struggling initially, using different arm slots, having uncharacteristically poor outings and a decreased velocity, why was he not checked out? Former Phillies closer Brad Lidge had a similar case to Halladay’s. Lidge, who made $12 million annually, had perhaps the worst season as a closer in Major League Baseball history in 2009. It was finally revealed that he was pitching hurt and that the injury required surgery. He missed the beginning of the 2010 season and really was not himself again until August 2010. What made the team think everything was all right when a guy went from being perfect in 2008 to blowing 11 saves the following year? Obvious questions like this make the decision-making process made by Philadelphia officials so confusing, especially when the answer has been consistent: The player was playing injured. It is baffling to try and understand why the Phillies act on the assumption that an injury will simply go away over time if untreated. Last year, the injuries to Utley, Howard and Halladay were simply too much to overcome. This year, with both Halladay and Howard playing below their usual levels and out for a significant amount of time, injuries may again be what separates this team from the playoffs.